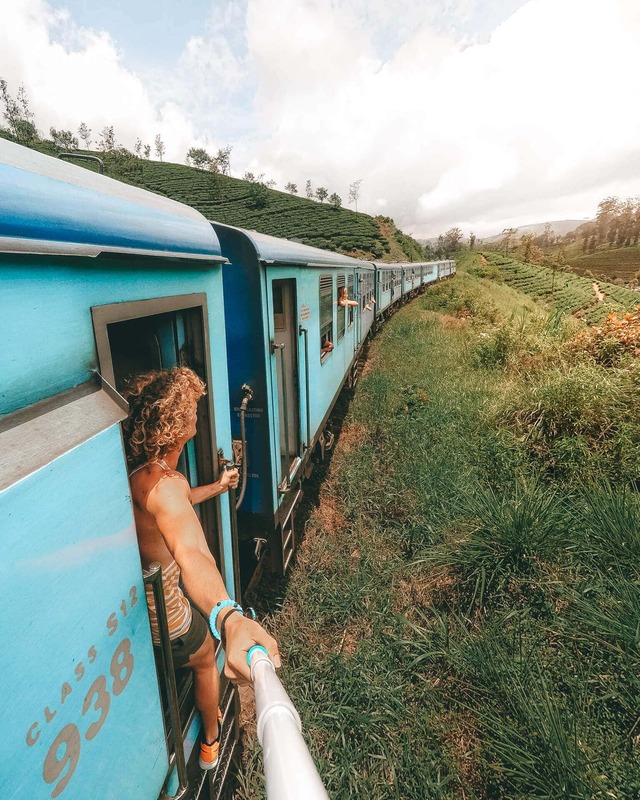 Sri Lanka has one of the most beautiful train rides in the world. 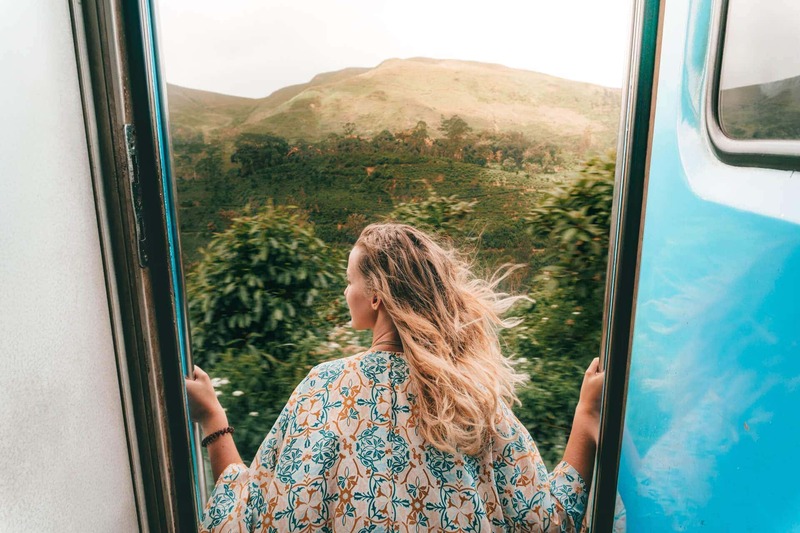 The train from Kandy and Ella is a beautiful 7-hour ride through tea plantations, endless mountain views and running waving kids along the train track. 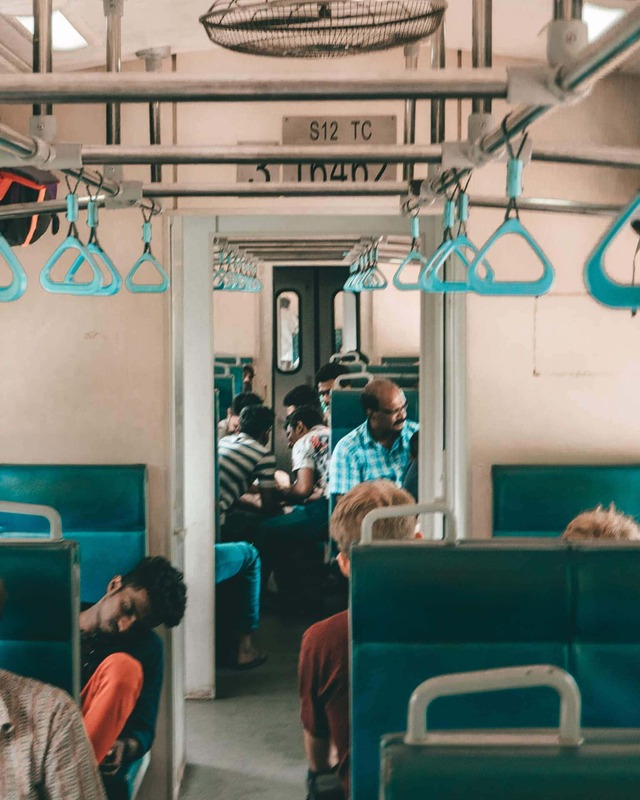 Getting a train ticket as a tourist can be hard because next to the popularity among tourists, locals use the train to head back home or to their work. The train ride from Kandy to Ella takes about 6 to 7 hours. That’s a long ride but a 100% worth the journey. A ticket from Kandy to Ella costs around $2,50 / 400 LKR. At each train station, the train cabins get filled with sellers of drinks, fresh fruit, and salty or spicy peanuts. Tip: Take the morning train. You don’t want to be riding through those tea plantations when it’s dark outside. Nuwara Eliya is in between the Kandy to Ella route and also a popular stop, it has the name Little England because of its cool and wet climate. Buy your tickets in advance at the Kandy train station. The train ride is very popular and on the weekends it’s busier because of the locals traveling home. Try to buy a 3rd or 2nd class ticket if you would like to have the experience of hanging out the train’s door. First class: Air Conditioned cabin which means no open windows or doors where you can hang out to get that cool shot. Second class: Fan cabin. Reserve seats between Kandy and Nuwara Eliya or Ella. You will probably end up spending most of the time with your feet dangling out of the door. Of course, this is not the most comfortable but from here you’ll have the most incredible view. Third class: We don’t know much about the third class but it has been told us this is quite an experience. Not only people but also goods such as chickens and vegetables will be transported in the 3rd class. 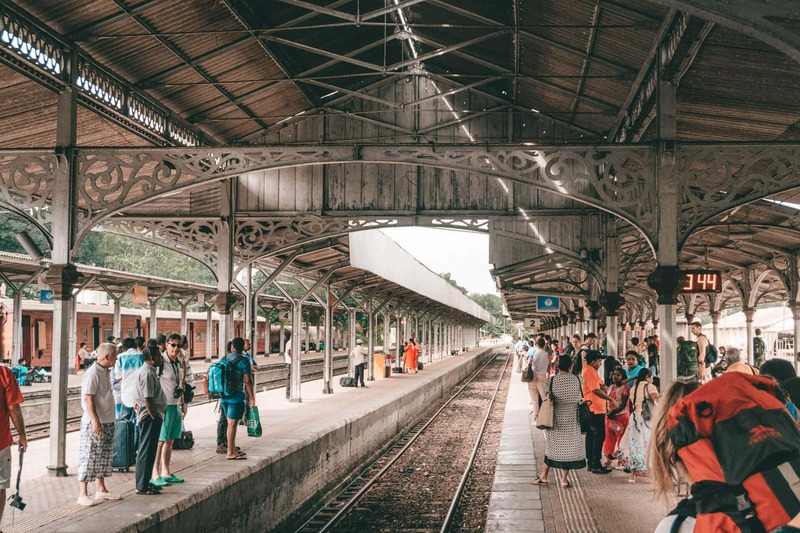 Train timetables and ticket prices can be found on the Sri Lanka Government Railway Information website. As we before, a ticket from Kandy to Ella will cost you around $2,50 / 400 LKR. 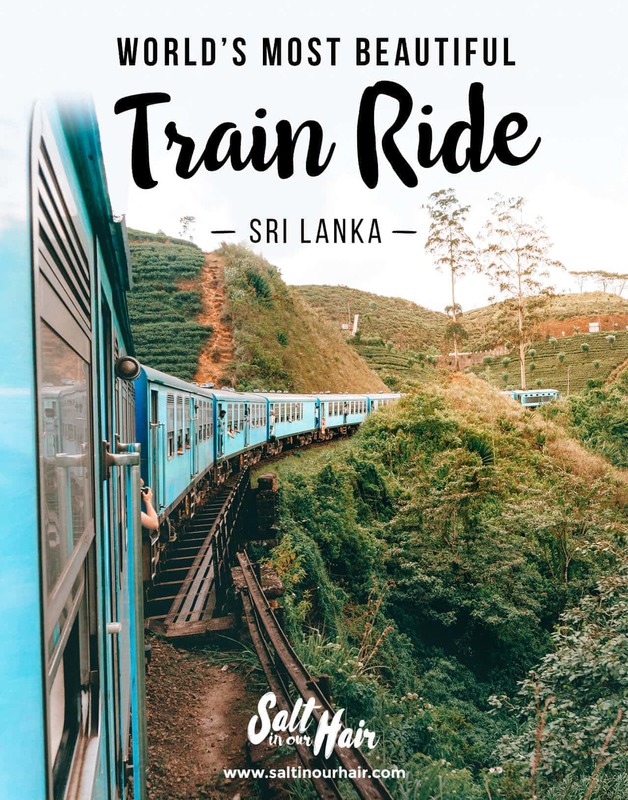 If you want to buy a ticket in advance then head over to ExpoRail or contact a Sri Lanka tour company so they can arrange it for you. 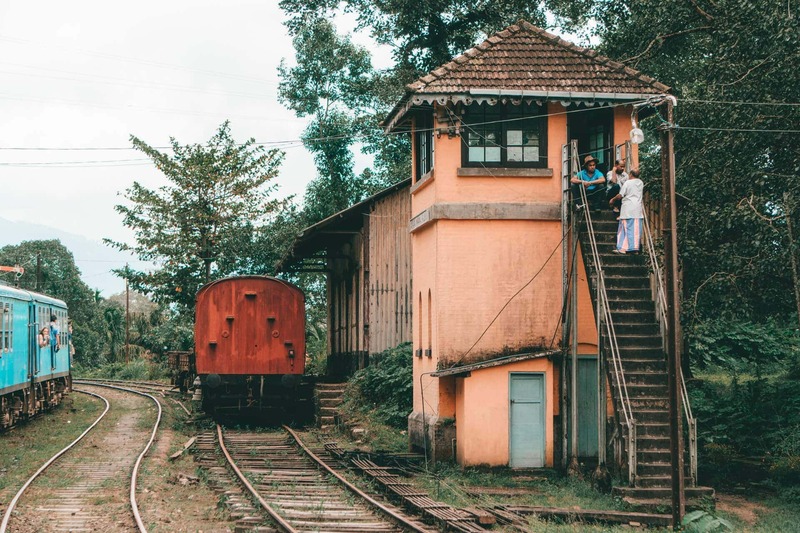 Don’t miss any of the highlights on this Sri Lanka train ride. Make sure to get off at the right location. Visit the beautiful botanical gardens in Kandy. Walk over the 30-meter high Nine Arch bridge in Ella. See the impressive tea fields of Nuwara Eliya.